Michael Johns joins the Chicago Scholars Dream team as the Director of Mentors, Volunteers, and Interns. In his role, his primary responsibility is growing, training, and managing the Mentor, Volunteer and Intern programs for Chicago Scholars. If you have a question related to mentoring or volunteering for Chicago Scholars, he is the team member to contact. 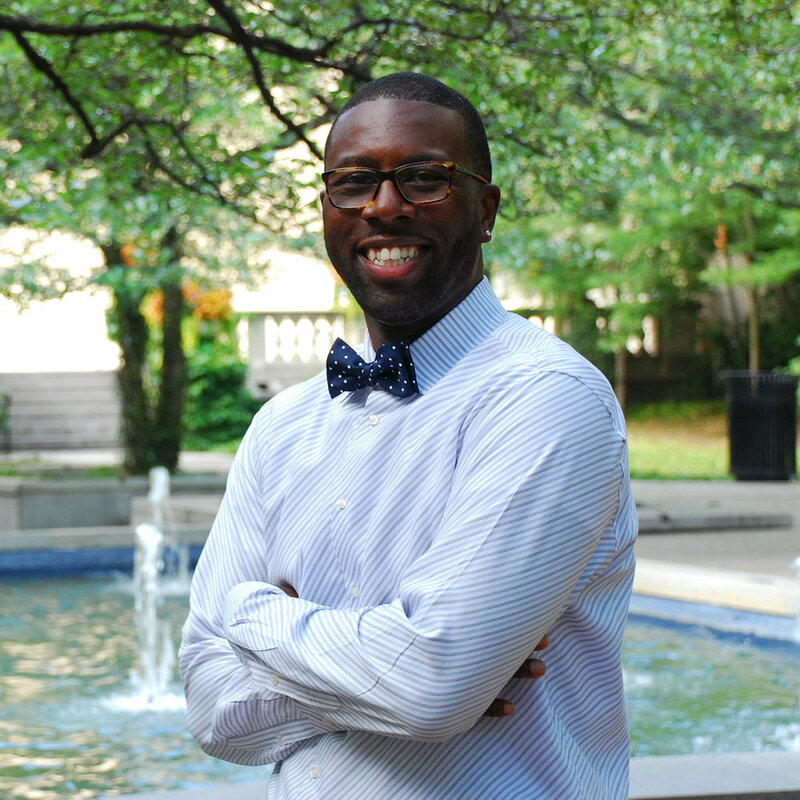 Prior to joining Chicago Scholars, Michael served as the Male Mentoring Coordinator for Olive­ Harvey College (OHC), one of the City Colleges of Chicago. While at OHC, Michael was responsible for researching and implementing best practices to ensure male students’ achievement. In addition, he was the coordinator of two mentoring programs, The Men of Distinction and the DREAM Program. His primary goal for both programs was to match students with needed resources and mentors that would support and enhance their educational experience. Michael is a strong believer in the power of mentorship. Michael attended Northern Illinois University (NIU) in DeKalb, Illinois, where he earned both a B.S in Sociology and an M.S. Ed in Clinical Mental Health Counseling. During his tenure at NIU, he was privileged to hold various leadership positions that helped to extend his knowledge and understanding on the importance of leadership in today’s society. Michael also helped to provide guidance to numerous students on the importance of making healthy decisions as a college student. Outside of works, Michael enjoys playing and watching basketball, cooking and spending time with his lovely wife.